Packing Way: inner: 1pc per mailing box. outside: carton pack. 1. Fashionable design with optional color. 2. 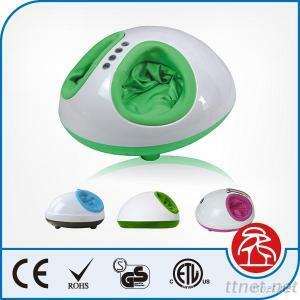 Foot massager with latest technology, fashionable design. 3. Comfortable kneading and Rolling meassage for feet soles. 4. Two kinds of auto massage programs, help to relaxing from fatigue. 5. Two levels massage intensity adjustable. 7. Colour options: Blue, Pink and Green. 9. Accupuncture foot massage functions. Health & Medical, Massagers, Massagers/n.e.s.